Sporadic blogging, as ever… Not through lack of good stuff to write about, but through a lack of time and it not being on my list of things to do. So, I finished mixing an EP by the Daydream Club. That was a real treat…… Adam from the band is quite the organised creative! : excellent to mix as everything was so well recorded and edited , it felt very much like old fashioned mixing where you’re not spending time tuning and cleaning up timing , you’re just balancing. 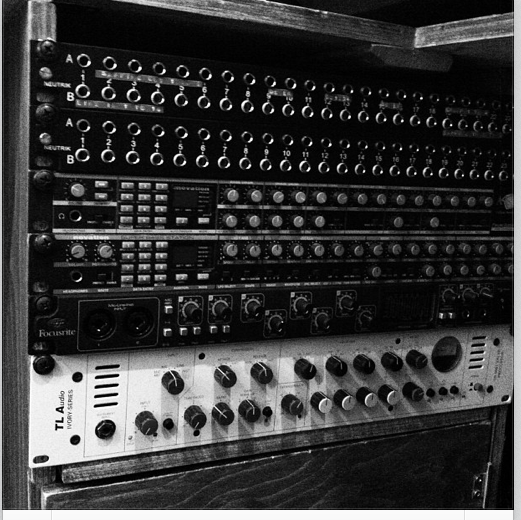 The mix head I had on was very much about balance and light compression/dynamic control…..kind of a 70s feel. I used the newish Waves tape simulator a fair few times…. Sounded especially good on the drum buss, fact fans. Lots of tweaks later via email lists , the 5 tracks were completed and they’ve gone to U2’s mastering engineer … Really can’t wait for that result. The EP should take the band a long way….. Ace songs and brilliant arrangements, and lovely people. Studio: desks now in place. Blanking plate sprayed… I went through 3 different greys… still cant get one the same grey as the other channels but it looks good as is. Holds my Macbook, control interface and MIDI keyboard, with space to spare. Wired everything up last night…. Now need to label and test it all and have a big tidy up! 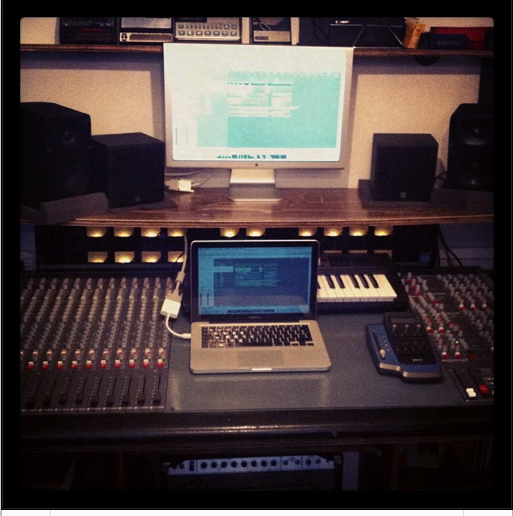 Had to adapt layout of studio to get patch bays in…. Space is at a premium already! Other news, I went to the Apple trainers conference. It’s been in Barcelona, Paris , Munich, Media City before… This one was in London….. I love going to this as its a great chance to talk to others from all round the world about problems they all face… And I learn loads. Highlight (other than the free bar!) was a Logic geek Toby Pitman ….. Dead interesting : he was on the music team for the closing ceremony for the Olympics ( with David Arnold) … Went through some advanced Logic stuff and told us what happened with Paul McCartneys fluffed intro! The ‘big project’ is trickling along nicely… 6 months off to get into it would nice…..